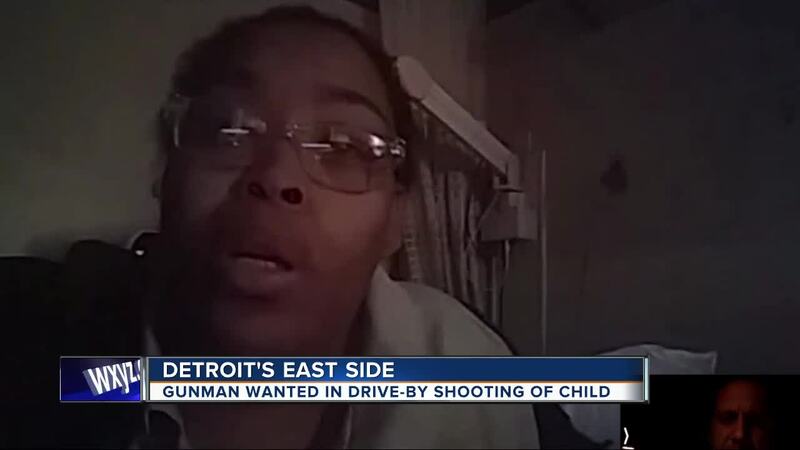 A mother is speaking out after her 11-year-old son was shot in a drive-by shooting on Detroit's east side Saturday afternoon. Channel 7 reporter Simon Shaykhet spoke with the victim's mother in this WXYZ exclusive. A drive-by shooting in a neighborhood on Detroit's east side has left an 11-year-old boy hospitalized with a gunshot wound to his leg. The boy remains in temporary serious condition at Ascension St. John Hospital. “We are so scared and can’t understand why this happened. This was not something we knew anything about” says Requelle Smith, the child’s mother. Her son, Aaron Paymon Jr., was struck in the leg with gunfire at about 4 p.m. in the family's home on Flanders Street near Chalmers. Detroit police spent hours today searching for evidence at the home. “Thankfully, the bullet passed through and he’s supposed to recover, but we are really scared,” Smith said. Sources tell us there were several people inside the home when it was targeted. So far, police have not released a description of a suspect, nor a vehicle to look out for. They are asking for the public’s help with this case. Aaron’s mother has now started a GoFundMe page to raise funds for a temporary safe place to stay.